Do you or your teenager have crooked teeth? With Invisalign®, ClearCorrect™ and other clear aligning systems we can straighten your teeth and enhance your smile without metal braces. 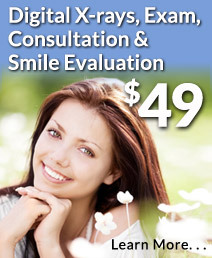 These teeth straightening systems use clear plastic aligners to straighten teeth. Best of all, they are almost undetectable. Tight on budget? Dr. Christensen uses clear aligning systems that are affordable and cost considerably less than traditional braces. Find out from Dr. Christensen which options are available for you. 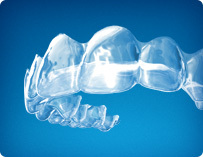 Both advanced systems use clear, virtually invisible aligners to straighten teeth. Aligners are comfortable custom-fit plastic trays that fit closely over your teeth. Taking care of your aligners is easy: you just take them out when you want to eat or brush and floss your teeth. The aligners are designed to move your teeth gradually into their desired position by changing them on a scheduled basis. You’ll visit Dr. Christensen periodically to check on your progress and get a new set of aligners, until you eventually have the straight smile you desire. Unlike traditional braces, you can remove Invisalign aligners to eat, drink, brush and floss, or for special occasions. Your doctor will take precise impressions and customize your aligners so they work as effectively as possible for your teeth. Even before your Invisalign treatment is finished your teeth will improve and you'll begin enjoying the benefits of a better smile. With Invisalign, the edges are smooth so they won't irritate your gums or cheeks like traditionals braces. Invisalign is virtually invisible so no one will know you're straightening your teeth. These alternatives to braces are for patients who have complete jaw growth and full adult dentition, and are effective on a broad range of cases. Even teenagers can benefit from these advanced teeth straightening systems. Less mouth irritation as there are no wires!